Senator Bob Menendez (D-NJ). Photo: Richard Chaitt. About 100 congresspersons and legislative staffers participated in the Zionist Organization of America (ZOA)’s Annual Advocacy Mission to Washington, D.C. last week. 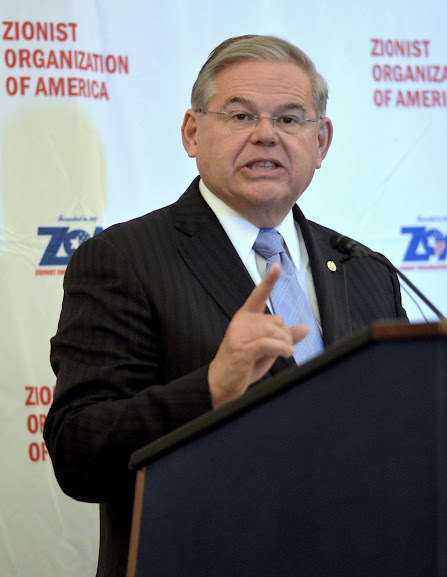 Chairman of the Senate Foreign Relations Committee, Senator Bob Menendez (D-NJ), and Senator Mark Kirk (R-IL) received the ZOA’s Defender of Zion Award. I have had an unwavering view that it is in the national interest of the United States to have a strong relationship with the state of Israel, an island of democracy. As Chairman of the Senate Foreign Relations Committee, I reject any call for boycotts, divestment or any statement that Israel risks becoming an apartheid state. 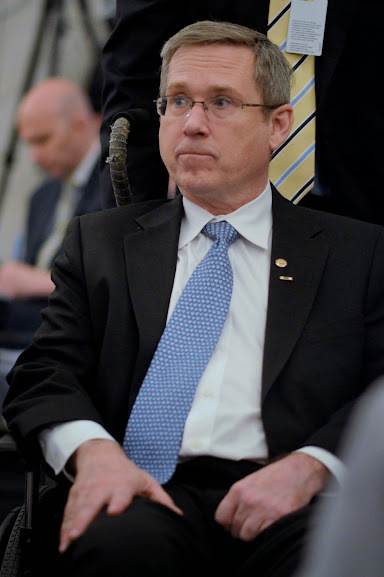 Senator Mark Kirk (R-IL). Photo: Richard Chaitt. support and understand the legal, historical, religious and political right of Jews to live in Judea/Samaria and to oppose the canard, based on a willful and politicized distortion and intentional misinterpretation of Article 49 of the Fourth Geneva Convention, that Israel’s presence there is unlawful and a war crime.